Control up to two different brands of garage door openers individually. Extreme 1500-ft. range for immediate access. 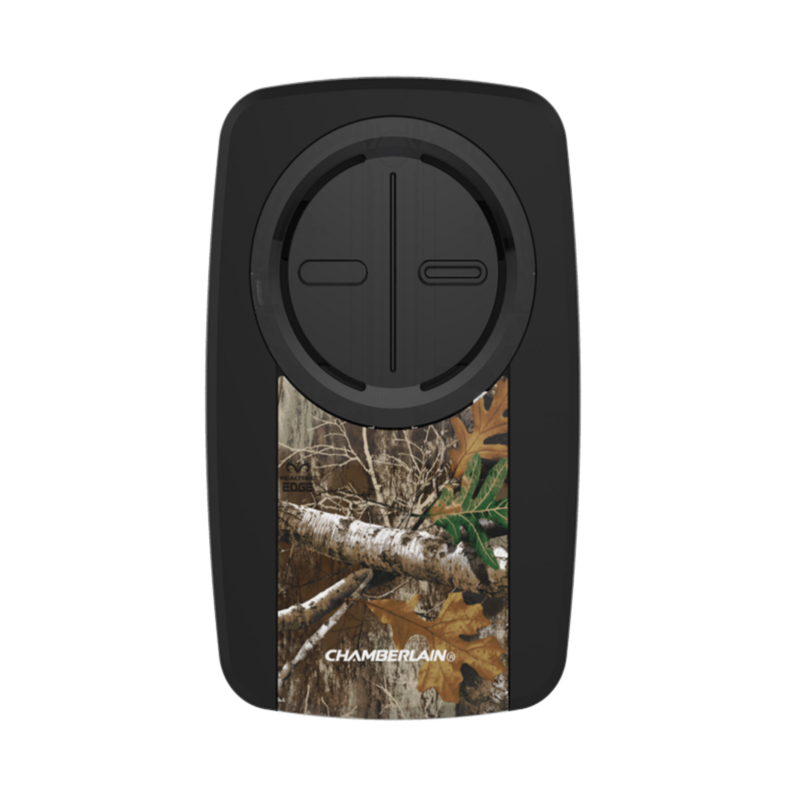 Realtree EDGE™ camo patterned design. Universal wireless programming means easy setup with no cutting into garage wiring or installation of an unsightly receiver. Box includes visor clip, 3V coin-cell lithium CR2032 battery and instruction manual. 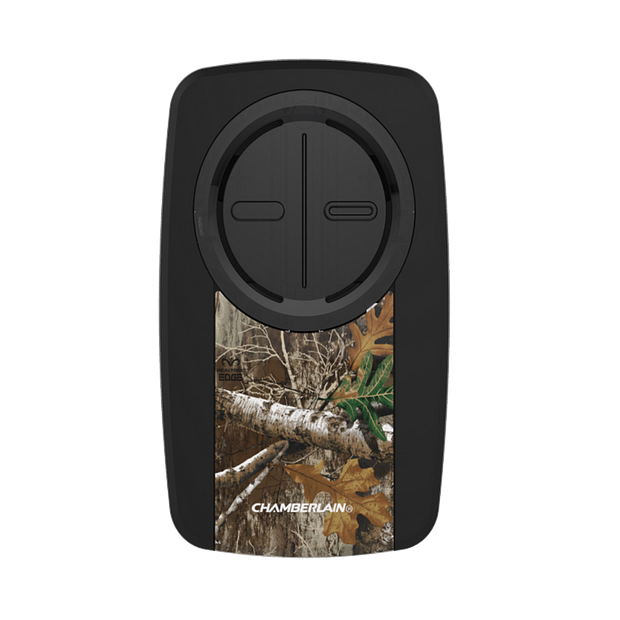 Two-button universal remote allows active families to maintain security and peace of mind. 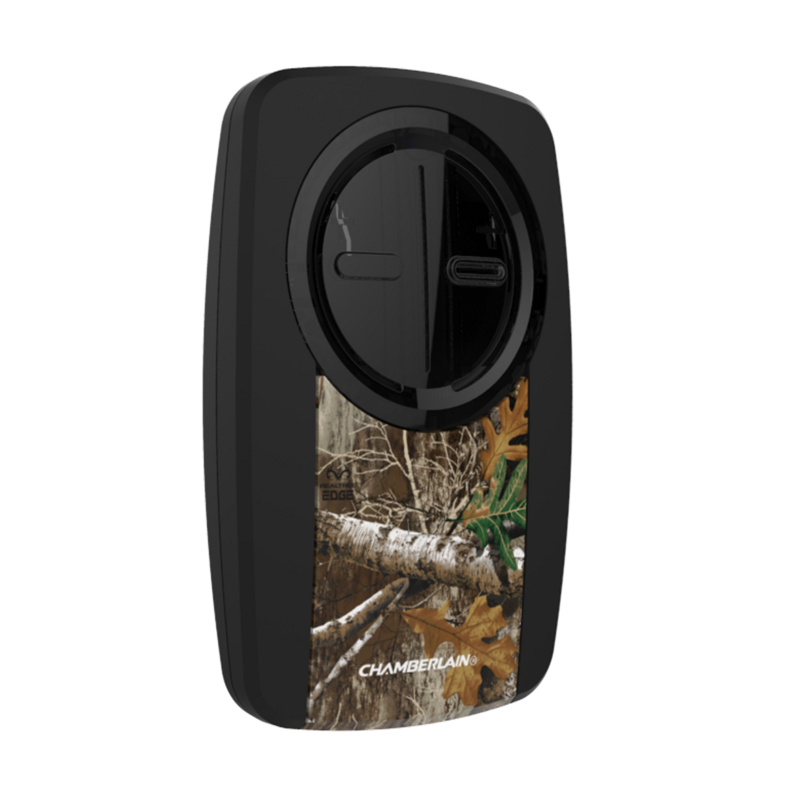 Works with over 90% of all garage door openers installed in North America, including all major brands such as Chamberlain®, LiftMaster®, Craftsman®, Genie® and many more.